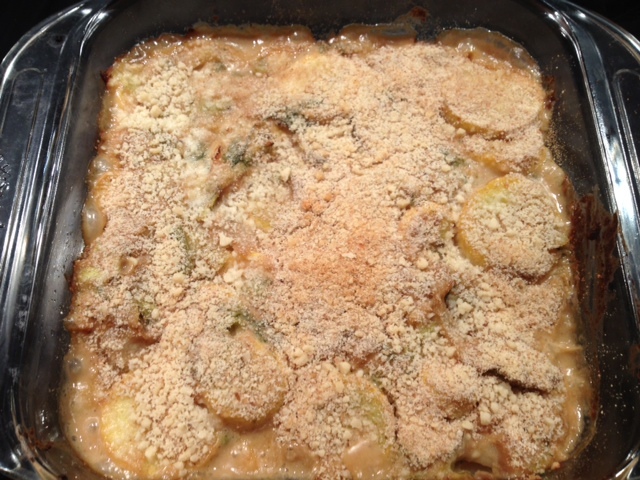 A gratin is a dish that has is topped with breadcrumbs, cheese and is browned in the oven. This particular gratin is made with fresh vegetables and herbs. 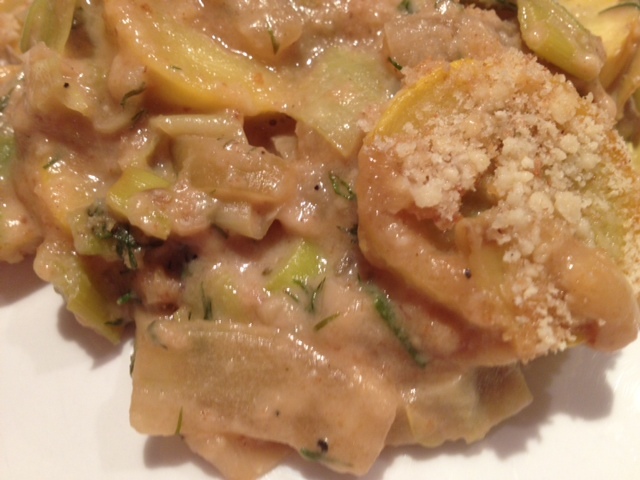 The bread crumbs and parmesan adds creaminess to the dish while the leeks and squash add a crisp bite. It’s a great way to eat your veggies! In a large pan, melt 2 tbsp of light Smart Balance butter and then add the crushed garlic and onion. 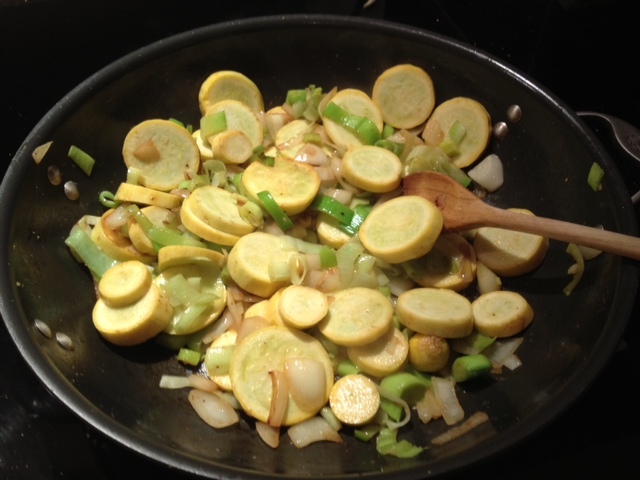 Cook the onion for about 5 minutes and then add in the leeks and squash. Cook for about 10 more minutes, stirring often, and then add the skim milk and sour cream. 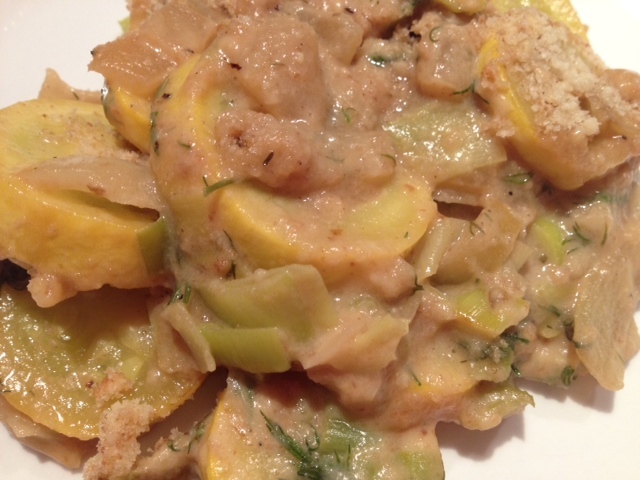 Stir to combine the ingredients and then add in 3/4 cup of bread crumbs. Remove the pan from the heat and add in 3/4 cup of Parmesan cheese. Mix well and then put the mixture into a greased baking dish. 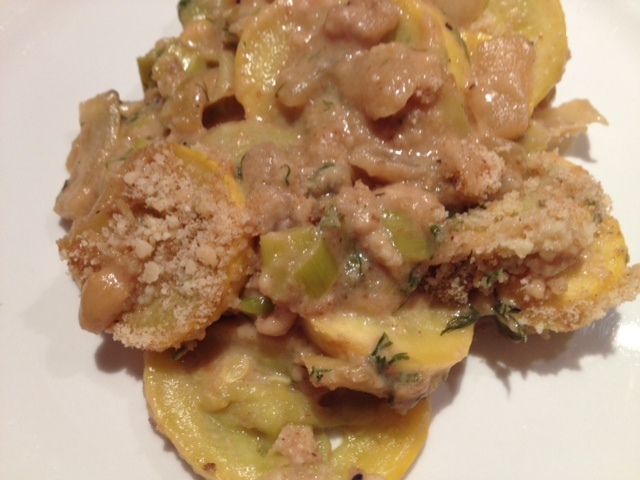 Top with the remaining 1/4 cup of bread crumbs and the remaining 1/4 cup of Parmesan cheese and bake in the oven on 400 degrees for 20 minutes. ← Spice Up Your Rice.